In a similar style to the already featured AirDog camera drone a new autonomous aerial camera drone called the HEXO+ has also been launched over on the Kickstarter website this week that has been specifically designed to be used with the GoPro action camera. HEXO+ is an intelligent camera drone that follows and films you autonomously and can be configured using the companion application via your smartphone and tablet. “We initially began thinking about HEXO+ because we needed a solution that would make aerial filming possible in the most remote places: on mountains, in the snow, and in all sorts of unpredictable situations that were quite a pain to deal with when trying to sync a drone pilot, a cameraman and a rider. 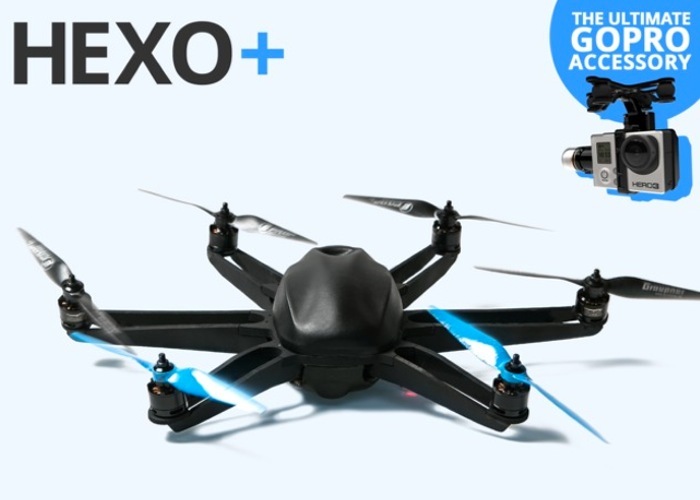 The HEXO+ camera drone this currently overrun the Kickstarter crowd funding website and has already raised over $200,000, $150,000 over its Kickstarter goal with still 29 days left to run the project. So if you think the HEXO+ camera drone is something you could benefit from jump over to the Kickstarter website and make a pledge to be one of the first to own a HEXO+.